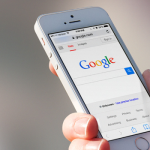 There is a new post on Google Webmaster Central blog about changing the user agent of Googlebot for smartphones. The most important change is basically removing iPhone and Safari, and adding Android and Chrome.In the post Google writes that their renderers evolve and this change is to indicate that they are becoming more like Chrome than Safari. What does it mean for webmasters? Check with the Fetch and Render tool if your website renders correctly. If it does, you have nothing to do. If it doesn’t, you have some work to do. Google is estimating that for about 99% of the sites this change will have absolutely no effect. The only possible way this change might affect your website is if it is looking specifically for the Googlebot. That usually happens with cloaking. You can’t expect much help for from Google on that. There are some additional tips at the end of the blog post so check it out.